Ooops! Apologies for any duplicate sending as this went out early with old information. Membership Renewals are due to be paid by October 30th, 2019. Don't forget. Because all members are now required to renew simultaneously, the usual 3 months grace period with previously offered has been reduced to 30 days. This is a reminder that there is NO GRACE PERIOD on the Certifications we award. If your membership expires you lose all entitlement to any Certifications we have awarded. Re-joining at a later date will require you re-apply for the certifications from scratch and go through the relevant audit process to regain them. That's the stick! Now the carrot. This means that as an association we will be able to recover the tax we pay on goods and services, meaning your membership dues will go further. Following a meeting with TARION we are closer to establishing some training courses. These will all be eligible for OntarioACHI CEUs. For those inspectors who want to go further and be certified as OntarioACHI Certified New Home Warranty Consultants, you can opt to take a learning assessment examination at the end of the courses. This exam will test your understanding of the information you've been given. We will be advertising this certification across Ontario. The Certification It will identify holders as Inspectors who can support their clients through the various levels of the TARION warranty program, supplying information through the inspection processes that helps consumers identify items that may want to put on the TARION warranty forms. We expect these courses, which will be a mixture of TARION provided information and education courses and OntarioACHI developed standards courses and presented jointly by TARION and OntarioACHI to be available towards the end of this year. Please check our website for updates. We will be adding a couple of menu options for upcoming courses. We recommend you come along, where you can meet members from OntarioACHI and find out how CAHPI is representing your professions needs at the national level. It also worth remembering that CCHI holders can instantly transfer to the CAHPI National Certificate Holder. With a little additional effort and proof of inspection history, as an OntarioACHI CCHI you can also advance to the CAHPI Registered Home Inspector - RHI designation. We are actively seeking assistance from Members who wish to be part of the Conference Committee. Last month we told you about some courses for inspectors who wish to increase their service offerings. As you are probably aware, our trainer in these areas, Len Inkster is somewhat restricted in his duties so we are not able to run the courses in October as planned. We have set up a date for courses for the OntarioACHI Certified Radon Measurement Inspector (OCRMI) course on November. 22nd. The first course will be in Downtown Toronto close to the TTC and GO services. The course will be a whole day and cost $290 + HST (not the original $375 mentioned in the earlier newsletter). It will be worth 7 CPEs towards the CCHI as well and Inspectors who pass the learning assessment exam at the end of the day will be able to sport the OCRMI designation. 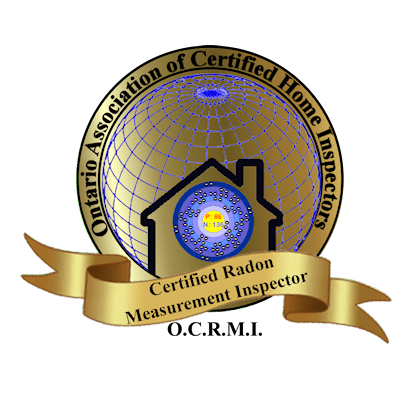 With November being Radon Awareness month we will be launching marketing around getting qualified inspectors who use the OCRMI protocols to perform short-term radon measurements as part of a Real-Estate transaction. Inspectors who attended the half-day version of these courses at the 2018 Conference and did not obtain certification will be offered a $100 discount. Spaces are strictly limited so early application is recommended. Find out more by registering below.